NFL prop betting is favored by a lot of sports bettors. It gives them an opportunity to place bets without worrying about a game’s outcome. While sports betting is a business for many people, generating the bulk of their income, proposition bets are entirely recreational. They’re fun wagers that rely heavily on luck. Don’t be fooled, though. Luck isn’t the only factor. It IS possible to handicap many types of prop bets. It just requires a little bit of math and a dash of intuition. What follows is a complete guide to football prop bets. You’ll learn what they are, and how to identify them. We’ll go through a number of examples of proposition bets, for various positions (quarterback, wide receiver, etc.) and entire teams. Finally, we’ll take a look at how to analyze these wagers to give yourself the best possible chance to come out ahead. Back To Basics: What Is A Football Proposition Bet? Think of prop bets as side bets. On the one hand, you have your outcome-based wagers. These are your money line bets, point spread bets, and team-based totals (over/unders). They’re affected by game outcomes. For example, will the Patriots cover the spread against the Buccaneers this weekend? If there’s a money line, should you back the favorite or the underdog? Or, if you’ve made a totals wager, will the Patriots and Buccaneers score cumulatively over or under the number predicted by oddsmakers? On the other hand, you have your prop bets. Again, these are your “fun wagers.” You’re not concerned with the game’s outcome. You don’t care whether the Patriots beat the Buccaneers (or vice versa). Nor do you care about their cumulative points. All you care about is whether the event you’re betting on occurs. For example, which team will score first? Will Ryan Griffin throw three TDs this Sunday? Will Mike Gillislee rush more than 100 yards? NFL prop bets are as varied as you can imagine. During the Super Bowl, when prop betting really heats up, you’ll find wagers on events that are only mildly related to the game. For example, you’ll be able to bet on which team will win the coin flip, whether a particular analyst will wear a red tie, and whether there’ll be a problem with the halftime show (wardrobe malfunction anyone?). 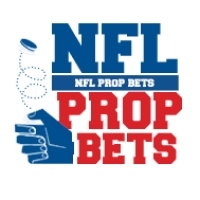 Let’s take a look at the different types of position-based prop bets (also called player props) you’ll see at places like Bovada as the NFL season matures. While every player is important, quarterbacks continue to receive the spotlight. For that reason, you’ll find a ton of prop bets that focus on this position. Will Rayne Prescott throw four passing TDs? Will Ben Roethlisberger get sacked at least five times? Which QB will log the first interception? Will Jimmy Garoppolo throw a red-zone interception? Which QB will throw more TD passes? Will Andrew Luck throw more than 25 passing TDs for the season? Does Aaron Rodgers start in more than 12 games this season? Will Drew Brees log more than 4,000 passing yards this season? Quarterback proposition bets make up a big part of this market, especially as the Super Bowl approaches. Receivers are the quarterback’s better half. They’re fast and go to great lengths to get into position to receive passes. They also serve as decoys. They pull attention away from intended plays, pretending to be the QB’s intended targets and drawing the opposition after them. Will Victor Bolden Jr. log the most receiving yards? Will Amari Cooper log the most popular red-zone targets? Which receiver will be the first to catch a receiving TD? Will Alshon Jeffery make three or more interceptions? Which receiver will get penalized first for a touchdown dance? A quarterback without reliable receivers is just another uniform. In many ways, the receivers are a franchise’s secret weapon. Their performance can turn the tide of a game, so expect to see a lot of prop bet opportunities at this position. Running backs don’t get as much glory as QBs and receivers. But whether they’re carrying the ball or protecting the guy carrying the ball, they’re definitely earning their salaries. It can sometimes be a thankless job, but it’s a crucial one. Will Eddie Lacy log more than 100 rushing yards? Will Paul Perkins make a rushing TD? Which running back will catch the most passes in the first half? Will Jamaal Charles log the most first downs in the second half? Which running back will take the most handoffs? To be sure, player prop bets are a lot of fun, especially when you win! But don’t forget about the team props. Many team props aren’t even related to a team’s performance on the gridiron. And the closer we get to the Super Bowl, the crazier these wagers become. Are the Patriots going to win the coin toss? Will the Broncos log 5+ sacks? Will the Eagles log 400+ yards? Are the Steelers going to receive 25+ penalty yards? Will the Ravens lead in fumbles? Will the Chiefs make it to the Super Bowl? Will the Dolphins log the most passing yards? Are the Cowboys going to make the playoffs? Which team will finish the season with the worst record: the Colts or Jets? How long with the national anthem be? 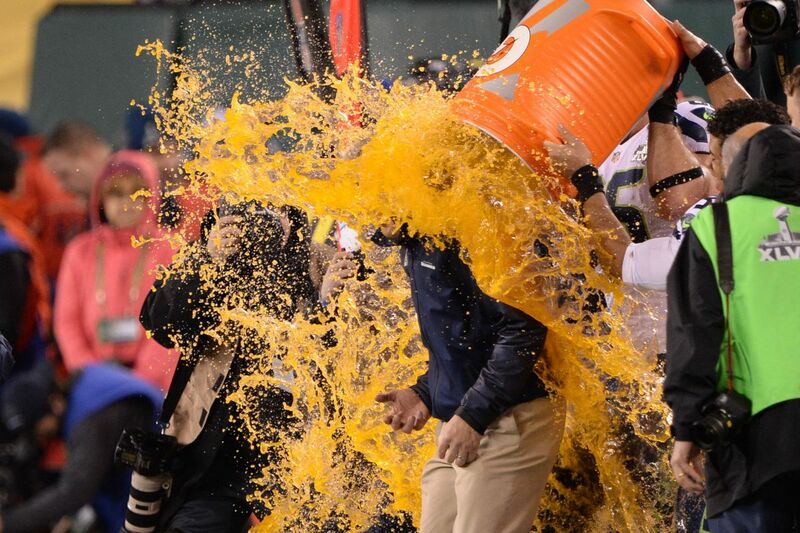 What color Gatorade will be poured on the winning coach of the Super Bowl? How many times will the name “Gronk” be said during the game? Will a power outage interrupt the Super Bowl halftime show? If you’re getting the feeling that there’s no end to the types of NFL prop bets that pop up as the season matures, you have the right idea. That’s part of what makes proposition bets so much fun! As I mentioned, luck plays a big role in prop bets. For example, there’s no way to predict with any certainty the odds that a power outage will interrupt the Super Bowl halftime show. Nor can you predict the result of a coin toss. Such wagers are nothing more than guesses. Having said that, some prop bets are beatable. It’s possible to handicap them. Proposition betting is a relatively small market. This isn’t where the major money is made. So while oddsmakers DO allocate time to props, they don’t spend as much time as they do on traditional point spreads, money lines, and totals. Oddsmakers take a slightly more lackadaisical approach when setting odds for NFL proposition bets. Their formulas and predictive models are more simplistic than the ones they use for traditional wagers. Moreover, you’ll find there are fewer sharks swimming in these waters. This ultimately means it’s easier to beat the bet. Will he log 330+ passing yards in Sunday’s game? The mean is 340 (total points divided by the number of games). That’s pretty close to 330. But look at the two outliers: 447 and 265. What’s the story there? It’s possible that Brady threw 447 yards because the opposing team’s defense all but forced him to throw long passes. Perhaps he had to do so to give his team even a small chance of winning. Similarly, it’s possible that Brady only threw 265 yards because the opposing team’s defense locked down his receivers. Maybe he had to keep pitching the ball to his halfbacks. Maybe he had to run the ball to avoid getting sacked. Whatever the case, the dynamic in the game suppressed his passing yards. The next step is to research the opposing team’s defense for the upcoming game. How effective is it? Suppose Brady is scheduled to square off against Jacksonville. Sacks are a definite concern. Moreover, the Jaguars aren’t slouches in the interception department. That being the case, you’d want to discount Brady’s potential yards because his passing game is likely to be less effective. It’s relatively simple to analyze team and player prop bets in the NFL. It just takes a few minutes and the willingness to do a bit of math. Remember, the formulas used to set the props are simplistic. Use that to your advantage. As long as a proposition bet isn’t getting a ton of action, it’s often easy to sneak in and win. Should you make football prop bets? In my opinion, yes. They’re a lot of fun and require minimal research and analysis, at least when compared to moneyline, point spread, and totals bets. Having said that, I recommend sticking to props that focus on players and teams. For example, betting on the number of passing yards logged by Tom Brady is a solid wager. You can look at the numbers and make an objective decision. On the contrary, betting on the coin toss at the Super Bowl is a dubious wager. It’s nothing more than a guess. A shot in the dark. It precludes you from doing any type of analysis, which means you can’t reasonably predict the outcome of the wager. Finally, if you intend to make prop bets, I recommend doing so at Bovada, Intertops, and 5Dimes. All three have proven to be legitimate sportsbooks with fair terms and bulletproof reputations.